Spanish Royal Shield of Philip II. 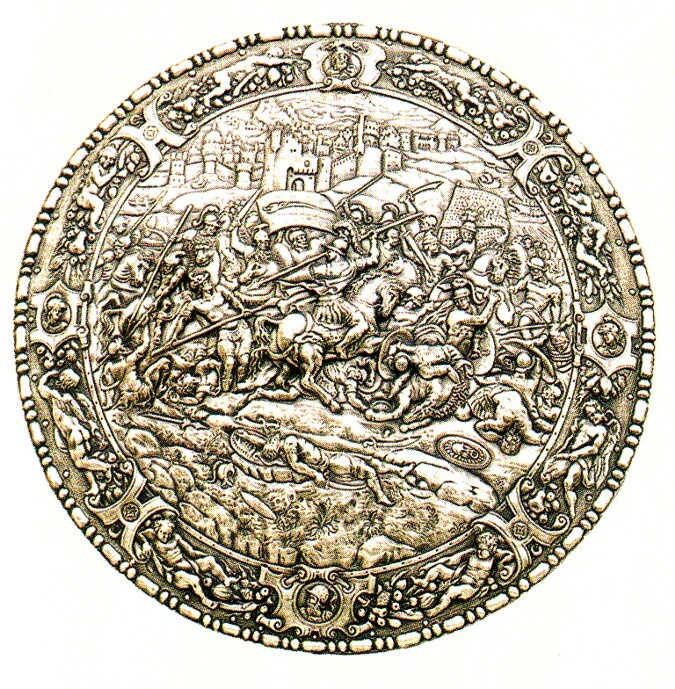 Renaissance shield, reproduction of the original king shield from Real Armeria in Madrid. Shield of the most powerful monarch of his times. 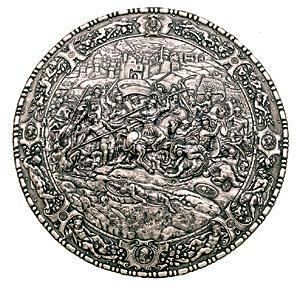 The Spanish Round Shield 16th Century by Marto of Toledo Spain is a replica reproduction of a round shield of the 16th century, dating back to the reign of Philip II of Spain and today displayed at the Real Armeria in Madrid. On the front of the shield is a battle scene, depicting Romans and Carthaginians during the second Punic war. Fabricated in metal with relief worked figures.